With over 35 years experience in the kitchen and bathroom industry, Macclesfield’s very own kitchen and bathroom specialists are pleased to offer you the very best in Kitchen and bathroom design. 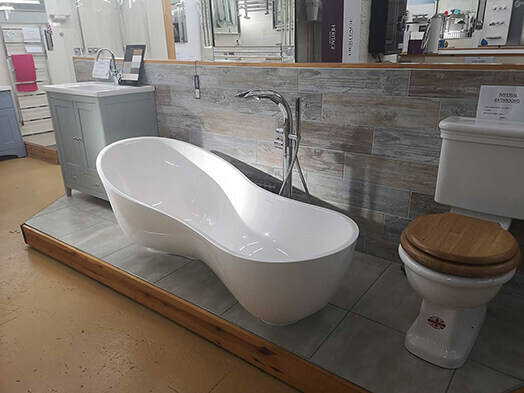 At our bathroom showroom on Pool Street in Macclesfield, we have many of the major Bathroom brands on display. 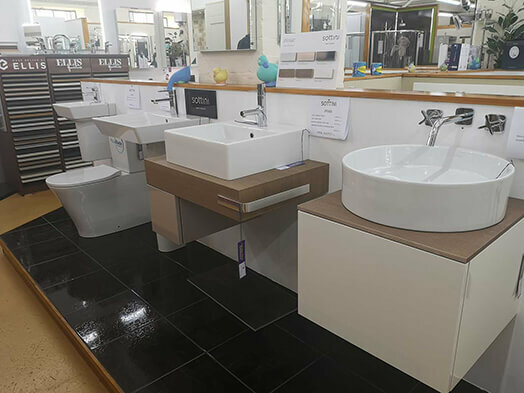 It is always good to see the products you are considering for your new kitchen or bathroom and our bathroom showroom is laid out to give you the full effect. Our staff can advise on products that are suited to your design requirements and help plan the layout and implementation of your bathroom or kitchen remodel. Our fully trained staff can also answer any technical queries you may have. Feel free to visit our bathroom showroom where you can see many of our products displayed in example settings. If you can’t visit today, why not take our new virtual tour below. It allows you to walk around our showroom from the comfort of your home. We offer a free site survey to ensure accurate measurements and to ensure the correct product solutions are chosen for your bathroom space. We will also design the layout for your new bathroom space using the latest in Computer Aided Design software. This gives a great perspective view of your new room. Our friendly, experienced staff are available to help you make the right product choices for your home. We offer many of the major designer bathroom and kitchen brands on the market today. These include brands such as Abode Designs, Franke, Ideal Standard, Geberit, Perrin & Rowe, Imperial Bathrooms, Impey Wetrooms, Kudos shower enclosures, Laufen, and many more.